The magic and thrills of Orlando are all yours with a luxurious timeshare at Orbit One Vacation Villas in nearby Kissimmee. 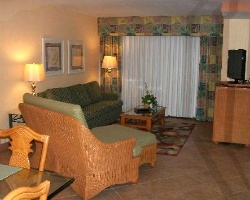 Find timeshare resales and rentals priced up to 70% lower than retail costs with SellMyTimeshareNow.com today. What’s My Orbit One Vacation Villas Timeshare Worth? Located just south of Orlando, the Orbit One Vacation Villas Kissimmee offer a week packed with family fun in Central Florida. 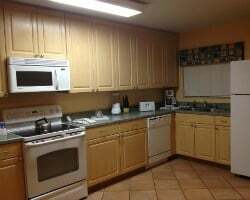 Close to all the best area attractions like Walt Disney World, Universal Studios, and SeaWorld, you and your family are guaranteed to enjoy the convenience and comfort of the Orbit One resort. Equipped with on-site amenities like a swimming pool, an owner's lounge, and even a putting green and mini golf course, you'll have everything you need to enjoy your Orlando vacation at the Orbit One. Timeshare suites at the resort come in the form of spacious two bedroom suites that are perfect for families with children. Offering plenty of room for everyone to enjoy vacation comfortably, the Orbit One Vacation Villas come complete with desirable in-unit amenities like full kitchens, well-appointed bathrooms, comfortable living and dining areas, and much more. So, whether you like to relax on your own private balcony with your favorite book, or would prefer to relax in your soaking bathtub with a glass of wine, you'll find your dream vacation at the Orbit One. 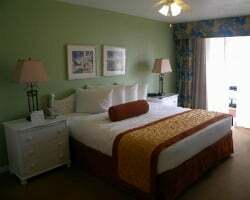 Are you ready to find amazing Orlando accommodations? Fill out the form on this page to learn more about owning a timeshare at the Orbit One Vacation Villas, or call a representative today at 1-877-815-4227. Owning a timeshare resale at the Orbit One Vacation Villas can guarantee you years of great Orlando trips for much less than what others pay. Because timeshare resales are sold by current owners instead of the resort itself, prices are much more realistic. These all-time low prices on ownership accommodations give travelers like you the deal of a lifetime, allowing you to secure long-term high quality Orlando suites and still save money. You can find timeshares at the Orbit One for prices up to 70% lower than retail costs. Timeshare resales at the Orbit One are typically available in the form of deeded fixed and floating Diamond timeshare weeks. Purchasing a week allows you to find an ownership interval that best matches your individual preferences, ensuring you won't have to settle. You may also be able to find resales in Diamond points, which can allow for easier and more flexible vacation planning. You can also upgrade your resale at the Orbit One Villas to enjoy more benefits from Diamond Resorts International. The Orbit One Vacation Villas Orlando is affiliated with Diamond Resorts International, one of the most popular timeshare brands in the world. As a resale owner, you can earn your way into the various clubs offered by Diamond and enjoy exclusive perks and benefits. For example, you can purchase a few extra points straight from the developer and transfer all of your existing resale points for a full upgrade. This can allow you to book vacations at other Diamond resorts through DRI Collections or THE Club, which offer catalogues of amazing properties around the globe. 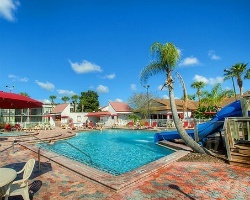 The Orbit One Kissimmee resort is also affiliated with RCI, the largest timeshare exchange company in the world. Exchanging your timeshare can allow you to get the most out of your resale ownership, as it can take you all over the world. Simply obtain a separate RCI account, deposit your Kissimmee accommodations into the exchange network, and trade for stays at comparable resorts across the globe. You can also trade your week or Diamond points at the Orbit One for RCI points, which can lead to alternative vacation possibilities like cruises, weekend getaways, and more. The Orbit One Vacation Villas provides a complete family-friendly resort equipped with on-site amenities that guests of all ages will enjoy. Lounge by the pool or hit the mini golf course for instant family fun. Stay active at the tennis or basketball courts located conveniently on-site, or challenge family and friends to a round of racquetball. The resort's biggest amenity, however, is its location. The area of Kissimmee allows families of travelers to seek a quiet refuge away from the hustle of downtown Orlando, but still close enough to enjoy its best attractions. In just minutes, you could be casting spells and sipping butterbeer at Universal's The Wizarding World of Harry Potter, or climbing to the top of Space Mountain at Walt Disney World. SeaWorld Orlando is also within a convenient distance, allowing you to hit all three major theme parks. Other attractions, like Wet 'n Wild water park and the Mall at Millenia, are a short drive away as well. Golfers will love hitting the links at area courses, while science nerds can plan a day trip to the Kennedy Space Center. Already Own at Orbit One Vacation Villas?